This Picture Frame Will Really Get Noticed! 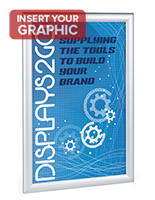 In Stock And Ready To Ship, See This Picture Frame And 100's More On Our Website! This picture frame is 11"w x 17"h, which is perfect in teeming places because it will be quickly recognized. 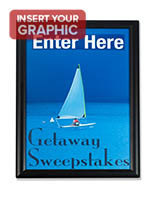 This acrylic picture frame, may be used as a sign holder. The picture fame has a neutral casing that can be located close to anyplace. 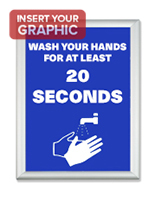 This graphic display is a perfect picture frame for offices, classrooms, conference rooms, hallways, lobbies, and wherever you prefer to hang a graphic. 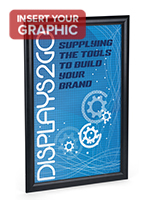 This picture frame furnishes a classy method to exhibit your media content, art, or notices with an appealing, rugged, easy to use wall mounted sign holder. 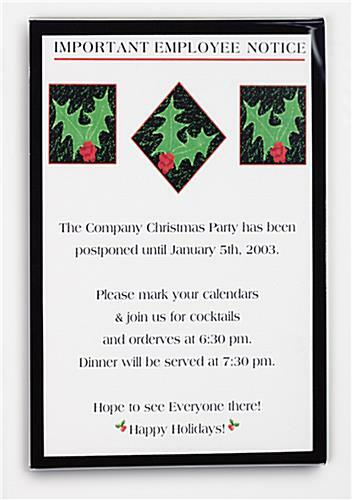 The picture frame is fabricated from clear acrylic and incorporates a 1/2" silk screen black border. 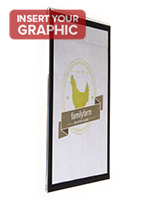 The sign holder, picture frame has a contemporary design to be utilized any business setting. 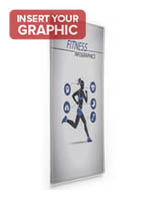 This picture frame may be used as a sign holder, or photo display, comes in one piece, and mounts easily on a wall. 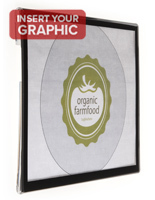 Featuring an enclosed design, this picture frame incorporates a small notched slot in the center of the top back flap, enabling you to effortlessly hang the frame over a small nail head or screw. 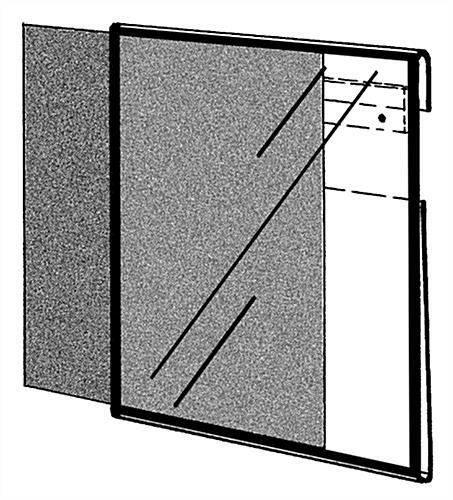 We also supply the picture frame with double sided stick mounting squares, for a nail-less mount.